RAdata is more than just your radon or water treatment company. We're smiling faces here to help you whether you are in the process of buying or selling your home, or just interested in maintaining the quality of your indoor air and water. When you place your call, you'll get fast, personal service - no answering machines. You may have noticed that some of your past radon or water treatment companies seem to be here today and gone tomorrow. We've noticed too! After more than 25 years in business you can be assured that RAdata, the first licensed radon testing & treatment business in New Jersey, will always be around when you need us. 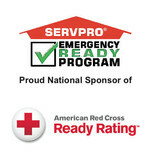 We are fully insured, as well as fully certified and licensed by the NJ DEP. 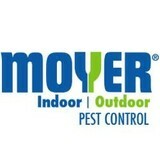 We are also certified in other states for both laboratory and remediation work. Call us (800) 447-2366 today to schedule a test, receive a FREE estimate to re-mediate a radon or water quality problem, schedule a service on your current remediation equipment (even if we didn't install it! ), or to simply ask a question. You'll always get our friendly, knowledgeable staff to assist you with whatever your needs may be. If you're looking for competitive prices for superior service, call today. It's the only call you'll need to make. With more than 18 years of experience, Hawkeye Services specializes in performing oil tank sweeps for residential and commercial clients. Hawkeye protects our clients from the potential liabilities of a unknown oil tank by scanning the property with a metal detector and determining if a tank is present or not. We guarantee our services and typically issue reports within 24 hours. 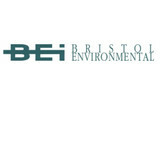 Find environmental services and restoration professionals on Houzz. 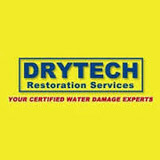 Narrow your search in the Professionals section to Norristown, PA residential environmental testing and home disaster restoration services to find a list of qualified professionals. Read through professional profiles for information on qualifications, experience and services provided.